O God, who didst send thy son Jesus Christ to preach peace to those who are far off and to those who are near, Grant that we, like thy servant Jackson Kemper, may proclaim the Gospel in our own day, with courage, vision, and perseverance; through the same Jesus Christ our Lord, who with thee and the Holy Ghost liveth and reigneth, world without end. Amen. O God, who send your son Jesus Christ to preach peace to those who are far off and to those who are near, Grant that we, like your servant Jackson Kemper, may proclaim the Gospel in our own day, with courage, vision, and perseverance; through the same Jesus Christ our Lord, who with you and the Holy Spirit liveth and reigneth, world without end. Amen. This commemoration appears in Lesser Feasts & Fasts 2018 with revised lessons and collects. Jackson Kemper was born 24 December 1789 in Pleasant Valley, New York, attended Columbia College, and was ordained a priest in 1814. 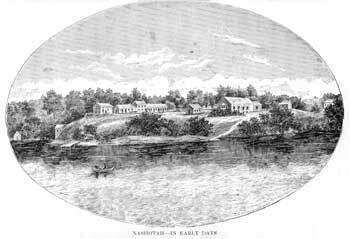 In 1835, the Episcopal Church undertook to consecrate missionary bishops to preach the Gospel west of the settled areas, and Kemper was the first to be chosen. He promptly headed west. Having found that clergy who had lived all their lives in the settled East were slow to respond to his call to join him on the frontier, he determined to recruit priests from among men who were already in the West, and established a college in St. Louis, Missouri, for that purpose. He went on to found Nashotah House and Racine College in Wisconsin. He constantly urged a more extensive outreach to the Indian peoples, and translations of the Scriptures and the services of the Church into Indian languages. 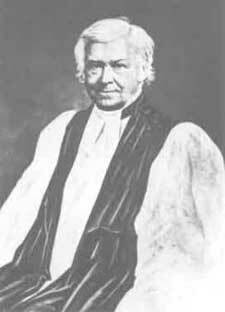 From 1859 till his death in 1870, he was bishop of Wisconsin, but the effect of his labors covered a far wider area. How remarkably peculiar, how vastly important is the position of our Church! Possessing as we fully believe all those characteristics which distinguished the primitive fold:--A scriptural Liturgy--evangelical doctrines--and the apostolic succession--having the form of godliness and the power thereof--free from the false and worldly scruples and the time-serving policy of civil governments--independent-- respected and influential--in the midst of an intelligent, enterprising and commercial people--Brethren! may it not be OUR duty to convert the world--may not this high, this inestimable privilege be offered to US! And are we prepared--are we doing at the present moment EVEN ONE TENTH part of what we are capable? Our means and our power are extensive--and under the blessing of Him, without whom nothing is strong, nothing is holy, our aim--our constant, undeviating, untiring aim should be great and lofty. "Glorious things are spoken of thee, O city of God." With the talents we possess, (and for which, as good stewards, we must finally account, at that hour when no secrets can be hid), with the talents committed to our trust and the privileges we enjoy, cannot our faith, our liberality and our self-denial, GREATLY increase? Cannot our supplications be more fervent, our economy more strict, our love of souls more ardent? Have we, as individuals, or a Church, a deep and abiding interest in the success of missions? Not a brother here would I accuse of indifference or cowardice. But I would stir up, with God's permission, the pure mind of each one, by way of remembrance. It is the spirit of missions I earnestly and most affectionately advocate. The division into Foreign and Domestic is often arbitrary, and might, without detriment, be abolished; for no one, I presume, would wish to withdraw our heralds of the cross from Africa, suspend our incipient efforts for Texas, or abandon the much injured aborigines to all the degrading vices they have learned from unprincipled men who claim to be civilized. Let us go where duty calls--where Providence points the way--and let us rejoice in the privilege, for we assuredly ought--Oh, let us rejoice in the privilege of sending forth in the name of the Lord and under the guidance of His Spirit all those who, thoroughly instructed in sacred truths, hear the cry, "Come over and help us"--and cannot resist the deep, the abiding conviction concerning their sphere of duty--whose hearts burn within them when they hear of people or nations wholly given to idolatry, or licentiousness, or worldly-mindedness. Cultivate, dear brethren of the clergy, cultivate with the utmost assiduity your own vineyard--love with the strongest affections your own spiritual children,--but close not your hearts to the sufferings and wants of your neighbors.